Everyone who works in the arts industry believes, as an a priori truth, that the arts are indispensable, that there is no need to make them so. And that is true. The arts are indispensable. However, when “the arts” is thought of as synonymous with the organizations that comprise the arts industry as it exists today, it is demonstrably false in any objective sense. I’ve spent a few posts talking about how we have our own idiosyncratic definition of Classical Music and how that shapes what we believe about the field as a whole (or, indeed, how it shapes what is actually the field as a whole), but I haven’t much talked about how that term has evolved over time. The Leipzig critic and composer, Johann Gottlieb Wendt, apparently first coined the term in 1836. It was originally used as a term to contrast with contemporary music (i.e. romantic music) and encompassed Baroque (a term that didn’t come into vogue until Heinrich Wölfflin rehabilitated its usage in 1888) masters like Bach and Handel up to the composers we normally consider to be from the “Classical Music Period,” Mozart, Haydn, and Early Beethoven. which briefly mentions ancient bone flutes made from the femurs of bears which segues into a comment about melodic flutes in ancient China then spends the majority of the rest of the narrative speaking about Western Music. This jump from ancient Greece to Medieval Church music I’ve remarked on quite a bit given we often leave out the evolution of music in the Eastern Roman Empire/Arabic and Ottoman Empires–despite the fact that the fact that all have been a significant part, geographically, of Europe–and how those Empires’ musics and cultures have interacted with the Western Roman Empire and the rest of Europe. As the border of what we consider to be Europe expanded over the centuries to its modern day equivalent, so has what has constituted “Classical Music” – initiatives to include some musical styles, like Manuel de Falla’s ill fated attempt with Flamenco, into the canon of Classical Music have failed. Neither do we include the art musics of the Ottoman Empire, Eastern Orthodox Churches (at least until Soviet Russian Classical Music became part of the Canon), and the Arabic Empire (including the Andalusian Flamenco style) still remain outside of the central Classical Music canon. Going back to the whole Classical Music Crisis and Classical Music is Dead discussions, we see a different kind of selective usage of what constitutes Classical Music, usually centered around failing institutions as prototypical examples of the field. I think what is always important to ask is “What do you mean by Classical Music” when these discussions come up, because we can easily show decline or growth if we’re selective enough in our choices. That kind of selectivity doesn’t lend itself well to falsifiability which, as Popper has argued long, should be the hallmark of any good scientific theory. Without falsifiability, you don’t have a theory at all. In other words, going back to the quote above: when “Classical Music” is thought of as synonymous with the organizations that comprise the Classical Music industry as it exists today, it is demonstrably false in any objective sense–and, when Classical Music is thought of as synonymous with a subset of the organizations that comprise the Classical Music industry as it exists today, it is demonstrably false in any objective sense. [T]he response I wound up thinking about the most is actually one that I didn’t agree with. It was from a composer who said that while she liked my music’s collage-y, turn-on-a-dime syntax, she wished that I would use my own materials rather than borrowed ones. I can see why someone would react that way to my work. I make a lot of allusions, and often very obvious ones. But here’s the problem: what kind of material wouldn’t count as borrowed? If Dayglo Attack Machine had used atonal harmonies rather than major seventh chords, nested tuplets rather than 4/4 syncopations, and sul ponticello string overpressure rather than doubled flute and vibes, most people wouldn’t describe that as using “borrowed material”—but it would be. I didn’t invent that language any more than I invented the language of 1960s advertising . And in fact, those materials are further removed from me culturally than the ones I used: not only do all of them go back at least to the 1960s, but they’re also European rather than American in origin. At first I thought this was a good way to look at it. We’re all using borrowed materials in music unless we’re actively creating our own idiomatic musical system–like what Harry Partch did when he developed his 43 note per octave just intonation system. As I’ve thought about it since reading the piece I also realized that the issue is far from clear cut. It’s not simply an issue of something being completely borrowed as-opposed-to something being completely original. Ironically, Harry Partch also shows how this dichotomous approach fails in that he had to create his own instruments to play his 43 note per octave system. See, an argument could be made that, for the most part, music being composed in that Western Art Music Tradition is usually being composed for instruments which co-evolved within that same Western Art Music Tradition. Many of the techniques, stylistic quirks, tonal and rhythmic systems were developed within the context of European Art Music–and within the context of the evolution of European Art Music Instruments. This is not to say that we shouldn’t be able to write from whatever borrowed system that exists–far from it. But what I am saying is that the whole idea of being a Classically trained composer can’t be entirely abstracted from the context of the techniques Classical trained composers have used to learn their craft. Sure, someone could argue that those techniques aren’t specifically tied to the artform in any meaningful way, but that’s besides the point. It’s not an essentialism or normative argument for tying the Compositional style to the instruments and tradition so much as it’s a descriptive observation about how there is a close connection between the craft and the style of the instruments and the tradition. Otherwise we’d see as many composers writing in Classical Ottoman Turkish Music style, Japanese Court Music style, or Byzantine Chant style as often as Classical Music style and with the same chance level of occurrence. We don’t, and shouldn’t expect to. [O]ver the years, I’ve continued to think about that conversation, because I keep running into the same ideas. For example, Garrett Schumann recently posted on Twitter that composers who use common-practice tonality should do so “thoughtfully” and “deliberately,” and be aware of the “historical and socio-political assumptions” involved in making that choice. I’m all for thoughtfulness and historical awareness, but what strikes me is that I never hear anyone calling on composers influenced by Saariaho or Lachenmann or Ferneyhough to be thoughtful and deliberate in their use of pre-existing ideas. It seems to be taken for granted in many new music circles that anyone who composes in a European modernist idiom is doing so because they’ve thought about all the possible options and made a historically informed decision to go with that one, but that anyone who composes in a tonal idiom is doing so naively. The funny thing is, the assumptions that people make actually contradict each other. If atonality, extended techniques, ultra-complex rhythms, and non-repetitive syntax really are the “native language” of contemporary classical music, then you can’t take it for granted that anyone who uses them is doing so after years of rigorous aesthetic soul-searching. They might just as easily be doing it because it’s the norm in their musical subculture. Taking what I’ve said above, then some of that thoughtfulness and historical awareness and socio-political assumptions have been part of what has built the system in question. Sure, not the totality of it–music systems can’t completely encompass the totality of any historical period. Then again, neither can a regular linguistic text. That doesn’t mean that some of the historical meaning isn’t embedded in the text. I think that we as musicians tend to forget that notated music is text. Musical text, to be sure, but a kind of text nonetheless. All texts, whether linguistic, mathematical, musical, etc. have been constructed in a very specific historical period and region. How the text is used, what it looks like, and how it represents something physical has as much to do with it’s being embedded in some historical and socio-political context as it does anything else. 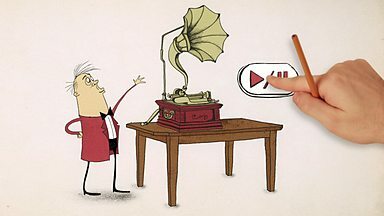 The transmission of the text, and how to use it, is also dependent on how it co-evolved with the instruments used to reproduce it. There’s a reason we don’t use Korean Chôngganbo, Byzantine Chant notation, or Hamparsum notası, to notate Western Classical Music, and it’s not unrelated to why we don’t use various form of tablatures or chord charts to notate it. This isn’t a comment about complexity–other notation systems are built to noted types complexity that Western Classical notation can always adequately represent. Part of why they were constructed is specifically to highlight compositional techniques and musical styles that are tied to the traditions within which they have evolved. Again, a whole system of notation, instruments, performance practice, and history which are closely (though not essentially or normatively) tied together. This is not to say that “atonality, extended techniques, ultra-complex rhythms, and non-repetitive syntax really are the ‘native language’ of contemporary classical music” so much as just one of major dialects of contemporary classical music. To be sure, what Temple is talking about is how much the field is changing with regards to the openess of younger composers to more contemporary idioms and musical dialects and languages, but for the most part all those tend to fall within the musical techniques used in the extended European-American world. Interestingly, I had posted the following quote to my twitter feed–not specifically in reference to Temple’s piece (I hadn’t read her piece when I posted this). And it was semi-facetious remark directed at something completely unrelated (Doom and Gloomers), but the core sentiment is still applicable. What Temple said isn’t stupid, by all means, the main point regarding the double standard of disparaging composers for using a “borrowed idiom” over another idiom which is in many ways just as borrowed is a problem. In the end, though, the problem has more to do with how we tend to make sharp dichotomies to reinforce certain hierarchies. It’s just classic ingroup/outgroup behavior that humans have been doing since we were hunter/gatherer tribes. I think we need to move beyond that and find the nuances between the sharply opposed viewpoints when they exist. And by all means, used “borrowed” materials all you want in your compositions–I’d love to hear Temple’s “Dayglo Attack Machine” whether it’s using appropriated music or not. 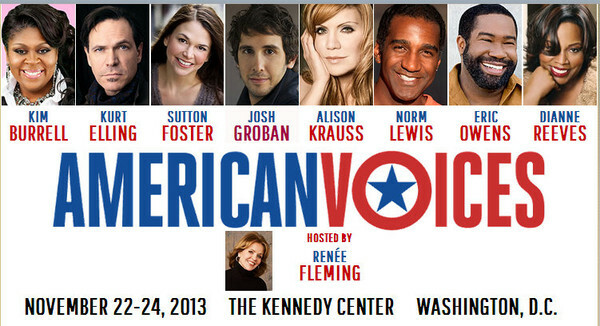 The American Voices Festival at the Kennedy Center, November 22-24, 2013. In 1958, Franco Migliacci and Domenico Modugno’s “Nel blu dipinto di blu” (popularly known as “Volare”) won the US Grammy Award for Record of the Year and Song of the Year. This is the first (and only) year that a “foreign language” song won in these categories. All subsequent winners have been in English. By the 60s Anglo-American rock and pop in English would come to dominate this Industry award. As I mentioned in my previous post, “I was in the middle of composing a summary of a facebook discussion about my American Voices post,” and while that post is still in draft form, I’ve written this more concise version of that one. As I mentioned in that American Voices post, Steven Victor Tallarico (aka Steven Tyler) was suggested as an American voice that should have been included in Renée Fleming’s American Voices Festival final concert. Ok, rather, “Steven Tyler,” was suggested, not “Steven Victor Tallarico” – son of Italian/German-American, Victor A. Tallarico, and Polish/English-American Susan Blancha (original family name was “Czarnyszewicz”).” Tyler is the “Demon of Screamin'” of the Boston based Rock band, Aerosmith. That facebook discussion brought up the fact that the ethnic backgrounds of popular artists (e.g. Stephen Perry/Stephen Ray Pereira – Portuguese-American; Jon Bon Jovi/John Francis Bongiovi, Jr. – Sicilian/Slovakian/Russian/German-American; Freddie Mercury/Farouk Bulsara – Persian-English; Eddie Van Halen/Edward Lodewijk van Halen – Dutch/Indonesian-American) isn’t usually highlighted. While Modugno was never an American–most of the American crooners from that era (some of whom who sang and recorded “Volare” with English lyrics) were of Italian descent: Frank Sinatra (Francis Albert Sinatra); Dean Martin (Dino Paul Crocetti); Connie Francis (Concetta Rosa Maria Franconero); Perry Como (Pierino Ronald Como); Tony Bennett ( Anthony Dominick Benedetto). These artists (as well as non-Italian-American artists from the period) did occasionally record and sing songs inspired by or from their homeland. One thing that also came up in that facebook discussion is how a number of the bands I mentioned in the prelude to the American Voices post, are comprised of Immigrants or children of recent immigrants. They still bear their surnames (or even personal names) of their homelands; they don’t feel as compelled to anglicized their band names either–and they sing and play music inspired by or from their homelands. In some cases the bands are comprised of multiple ethnicities, so there’s a fusion of non-Euro-American influences in their music and lyrics. In a sense, I think we’ve come full circle, musically, in the pop world (and as I mentioned this is also happening with “Classical Music” ensembles and Large Orchestral styled ensembles)–where we don’t have to sanitize (or as one of the posters in the facebook thread said, “Whitenize”) personal and musical identities to be an “American Voice.” We’re in a musical age where we don’t have to change our name from “Steven Victor Tallarico” to “Steven Tyler;” sing in English; and call our band an aglicized “Aerosmith”–but for folks who think we’re on the cusp of a musical revolution, it seems ironic that a Steven Tyler would need to be included in an America Voices Festival final gala concert for the concert to be considered “more populist” (or more relevant). What is also ironic is that, in some ways, this is the pop music industry trying to catch up to what classical music has always been doing (albeit in a relatively parochial Eurocentric way) in that we find songs (and music) in French, German, Italian, English, Spanish, and increasingly more languages (I adore listening to Szymanowski’s “Stabat Mater” in Polish!). 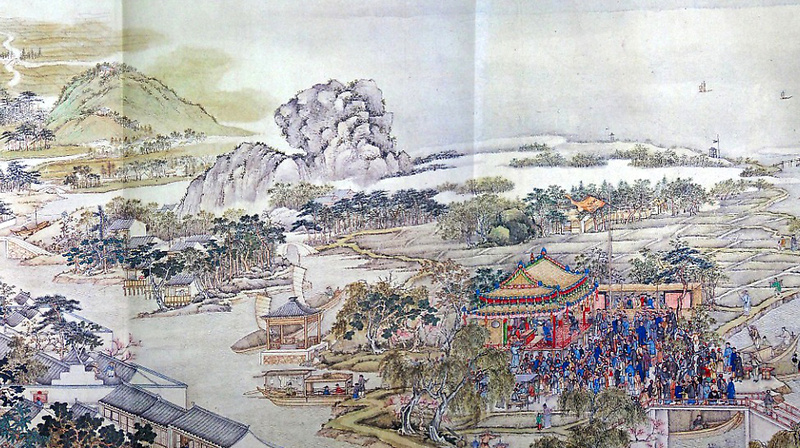 Sadly, there is still room to grow even in this field–most Classically Trained vocalists and musicians wouldn’t have to first idea how to sing Mugham Opera and Near Eastern Choral/Orchestra repertoire much less Art music repertoire which doesn’t even use Western instruments such as Chinese Opera. Then again, we also now have groups doing that in the US, so maybe some of these “new” American voices from both the pop and art music side will see itself in a future American Voices Festival. For now, I’m just pleased to see so many musicians who aren’t ashamed of their ethnic heritage in the US playing out in clubs rather than just the old “ghettos” of Ethnic and World Music Festivals and events.